Expertly cast and exquisitely detailed the Watermark Living™ Oxford Collection is a beautiful addition to your patio or garden. 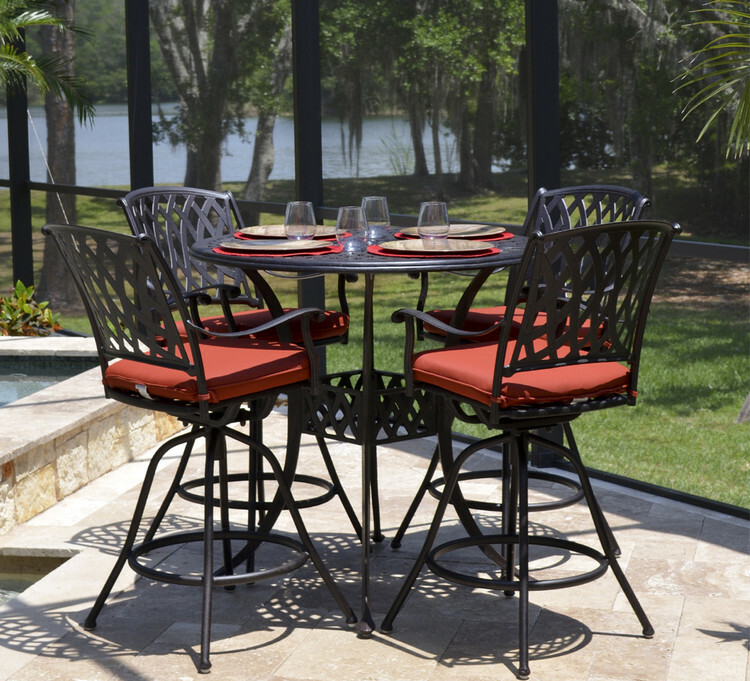 100% rust proof aluminum frames are hand cast and welded for maximum durability. Enhanced with artful, unique design included curved backs and nicely finished seats which provides comfort both with or without cushioning. The tables and accent furniture are durable and offer the perfect pairing with the rest of the group.